Home My sewing worldSewing & life	When does a passion come out? Since I started to sew, many people have asked me if I found out this passion recently or I had been thought about it for a while. Actually I could answer… both of them! Let me explain myself better… even if I recently found out how fun it is to use the sewing machine and to design my customized wardrobe (finally stop frenzied shopping on the lookout for that garment I really would need but I never find as I really like! ), actually, thinking it over once again, I’ve always had a preference for this kind of manual activity rather than others. I’ve tried a lot of them, lately I’d even thrown myself into producing of industrial amount of biscuits and muffins (and I’ve found out I’m exactly no good at making cakes). Fun yes, but anyway I didn’t feel completely satisfied once I finished up the job, I mean, I didn’t feel the fire that makes you always be on the move and on it. Instead with sewing it has been different, a sort of love at first sight… or wasn’t it? Thinking my favourite games when I was a child over once again, surely there were paper dolls (how fun it was to cut the little dresses, to bend the flaps and dress the doll up?? 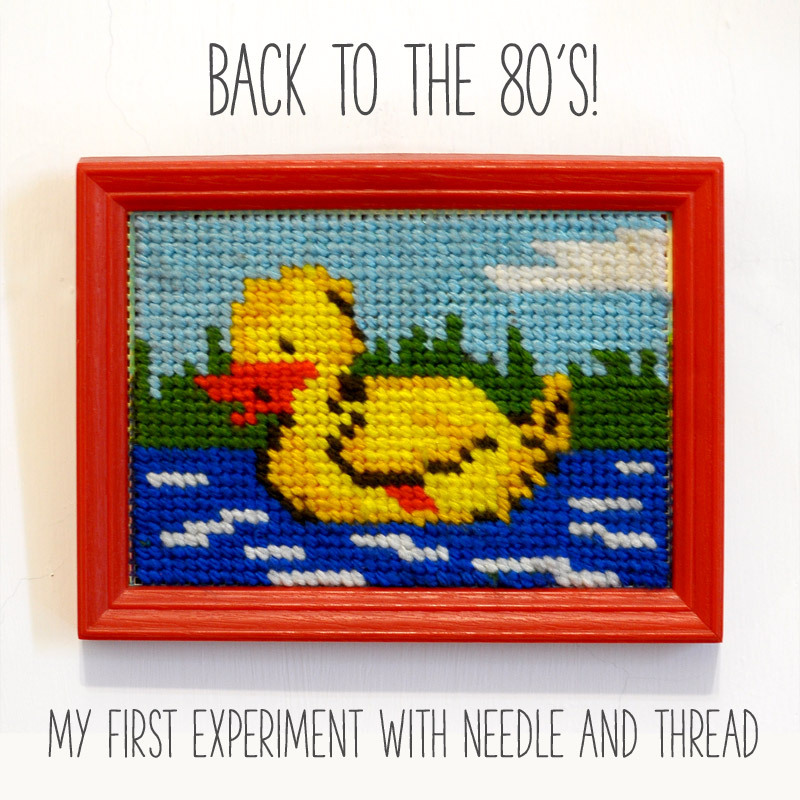 I would have fun doing it again), the magic knit machine (do you remember it? Barbie’s, here it is! Actually I hated playing with Barbies, the only thing that made me have fun was…dressing them up! 🙂 ) and to embroider in half-cross stitch. My first little job, that I did when I was 6, is still hanging in my old bedroom! And then I adored when my mom and my nanny (Aunt Teresa) would teach me how to stitch by hand, to knit and to crochet (the last two unfortunately forgotten by now). Could it then be called a rediscovered passion, after many (too many) years in which it has been asleep? 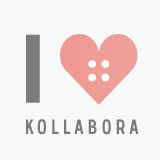 And you, how have you found your passion for sewing or for any other hobby out? Is it something that you have brought along with you since you were a child or a completed new discovery as a “grown up”? I’m happy that I discovered your blog through Burdastyle! My grandmother also was a great seamstress!! And my aunts! My mom is more like an -aroundthehouse-sewing person (no clothes sewing). And it took me 24 years to discover this passion, which happened a year ago! And I also felt like you – a passion for manual activites, like painting, scultping, embroidery work, making natural cosmetics – but none of them got my heart like sewing. When my mom showed me the sewing machine years ago it looked too complicated. And lately I got fed up by the poor quality of fast fashion shops and I went to a sewing course. And also I try to be a conscious consumer. So I just wanted to stop and say congrats for your lovely garments and creations! 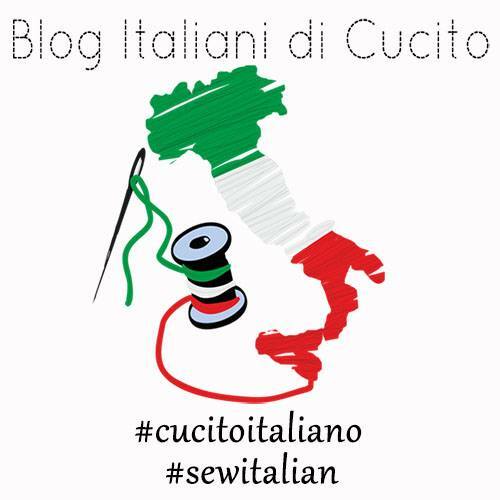 I just stumbled on your blog while searching the web for beginner’s to intermediate sewing classes in Milan, Italy!! What luck- I feel I share the same passion for sewing- which also just started when I turned 29. Lately I just started getting into the habit of buying tons of fabric during my trips overseas to southeast asia over the last five years…(worth the TRIP btw if you ever have the opportunity) and I realized…instead of getting things made by tailors, and buying them in stores, I could be making them myself!! But before I get ahead of myself, I need to get back into the routing of sewing- I haven’t made anything in at least 10 years…. 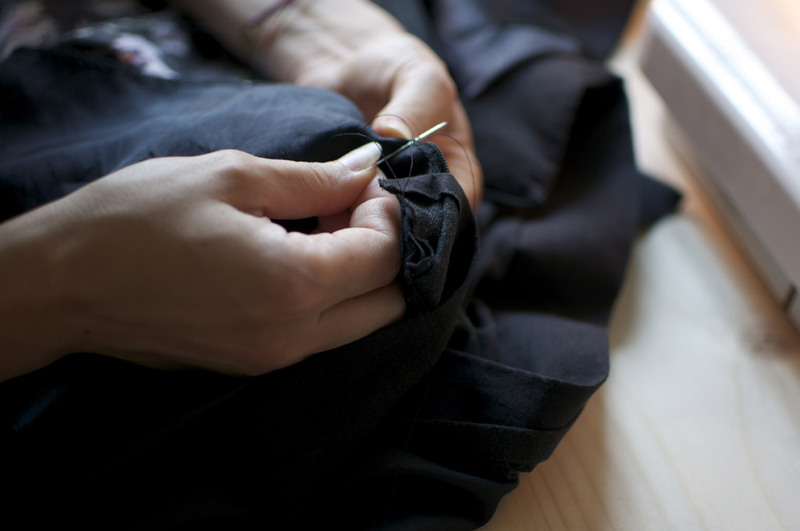 Unfortunately I don’t know sewing groups in Milan and I think it’s difficult to find them. I have never heard about them. Anyway it would be very nice to create one of it, I think that there could be a lot of people interested. What do you think? Instead there are a lot of courses…I attended basic dressmaking evening classes last autumn at Afol Moda school http://www.afolmoda.com/ (it’s a 90-hours evening course, very professional) and I know there are a lot of interesting course (in evening and weekend), for example I heard about The Hub http://www.l-hub.it/ and Les chourettes http://leschourettes.it/corsi.html (even if I don’t know any of them and I’ve never tried their courses, so I can’t give you a personal opinion). I think that all these courses are held in Italian (that one at Afol Moda for sure). When are you going to come to Milan? Thanks for the suggestions! Yes we do have little sewing instruction social groups in the States. I used to go one in Washington DC that had excellent reviews and instructors..so I was hoping I could find something like that here in Italy. You are right though they are very hard to find here! I am now looking for short intensive sewing instruction courses (Even if they are part of a professional schoool curriculum in Fashion Design,) so maybe I will have better luck with an actual fashion design program. Hi! I had dressmaking class during my highschool days, but i did not pursue sewing, I became busy when I was in college. Now I’am 42 years old with 3 kids, 19,15 and 8 all boys. I decided to try sewing again, my sewing machine will be delivered in a few days, I hope I can remember everything I learned in my sewing class. For me it is kinda similar. I remember being a little girl watching my mom sew and she taught me how to thread the machine and do a basic stitch. I use to imagine sewing clothes for my dolls and Barbies! I had a little fashion design kit, and I would design my own outfits and make fashion magazines. Then when I got a little older, we met a women who was very good at sewing and was going to teach me how to make a skirt, but it never worked out to my disappointment. Eventually my desire to sew got pushed aside, until now! But I totally understand. It was a newly discovered passion but then again it wasn’t. Great post! Thanks for sharing your story too 🙂 I’ve loved reading it…It’s so beautiful that there are so similar stories and experiences in different countries. It’s something unique and special!